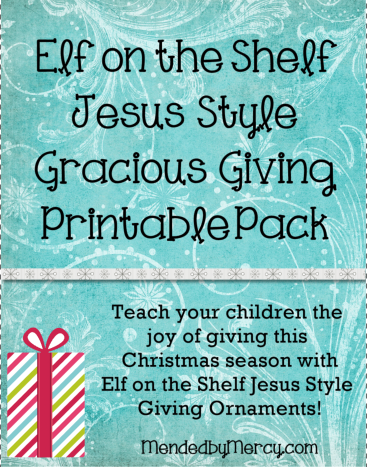 Elf on the Shelf Jesus Style: Biblical Virtues is back! 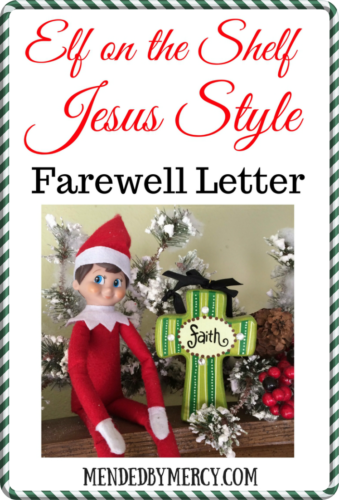 Back in 2013, I created Elf on the Shelf Jesus Style (<–that’s the original post!) as a fun way to combine the magic of Christmas and the truth of Jesus for my then 2 year old. Little did I know that it would go viral, be featured on NBC news and be featured in newspapers! 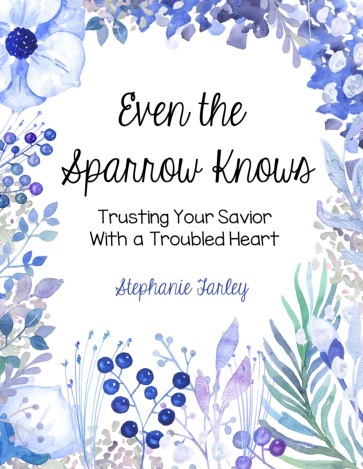 Five years later, this little gem has been turned into an e-book and is being used all over the world during the Christmas season in homes, preschools and even Sunday schools. It’s been such a blessing to receive emails from Australia, Europe and the U.S telling me how they are using this fun curriculum! It makes my heart so happy! All Glory to HIM! This is a fun way to combine the magic of Christmas and the truth of Jesus! This 25 day curriculum gives you an easy to follow daily discussion, scripture and activity for each day leading up to Christmas. 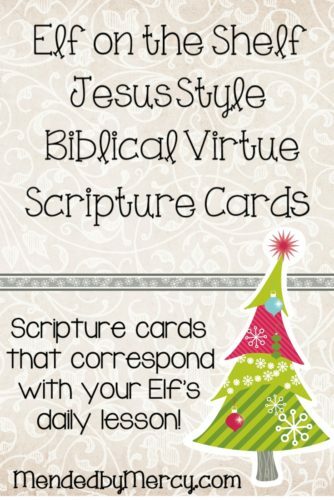 Your child will learn through hands on activities how to be more like Jesus as you and your elf teach them biblical virtues! You can do all 25 days, or pick and choose which ones you want to use. Let God lead you. This is not a stressful-must-do-it-perfect-thing. 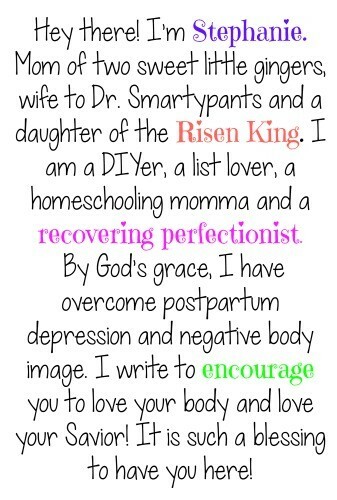 This is a teach-your-child-to-be-more-like-Jesus thing. Remember that little word GRACE. 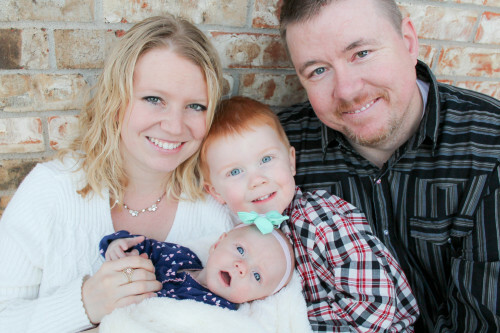 Do what you can and create fun memories for you kids! 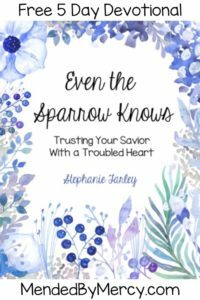 This e-book is all yours for free! Simply subscribe below and it will be emailed to your inbox! Below you will find even more resources I have created for you to use with your e-book! Just click and it will take you to the resources and the download! 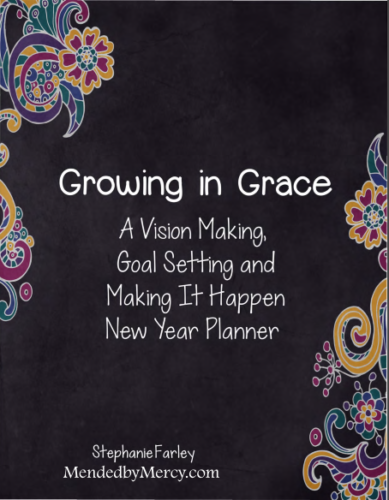 I have tried several times this year and last year to sign up and receive the e-book. Please help! Send me an email at Stephanie@mendedbymercy.com and I will take care of you! I am sorry it wasn’t working for you! This is great!! I look forward to trying this with my daughter’s elf this year!